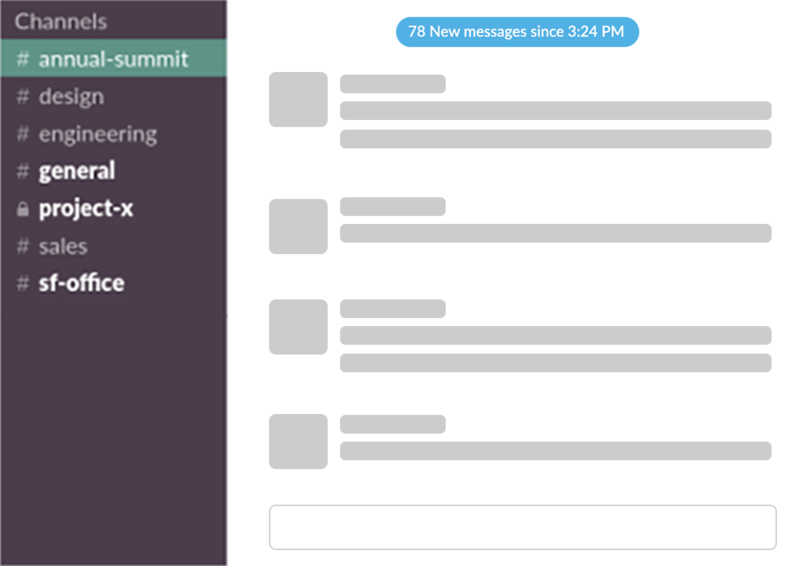 Zulip combines the immediacy of real-time chat with an email threading model. With Zulip, you can catch up on important conversations while ignoring irrelevant ones. In Zulip, you subscribe to streams. 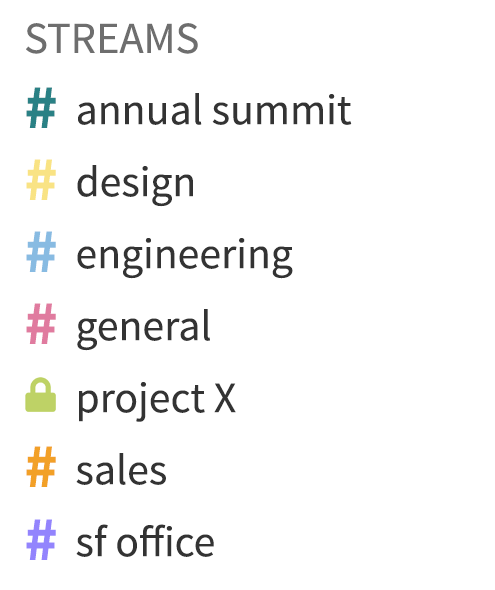 Streams are like channels in Slack or IRC. Each stream message also has a topic. Topics are unique to Zulip. Topics make it easy to catch up after a day of meetings. Messages sent hours apart are linked in the same topic. 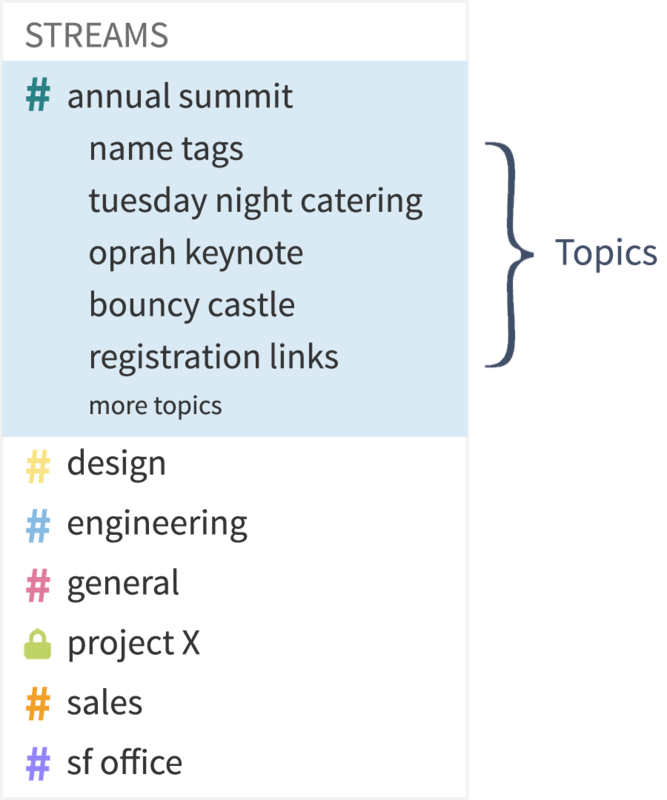 Without topics, it’s hard to catch up efficiently, and hard to participate in conversations that started while you were away. 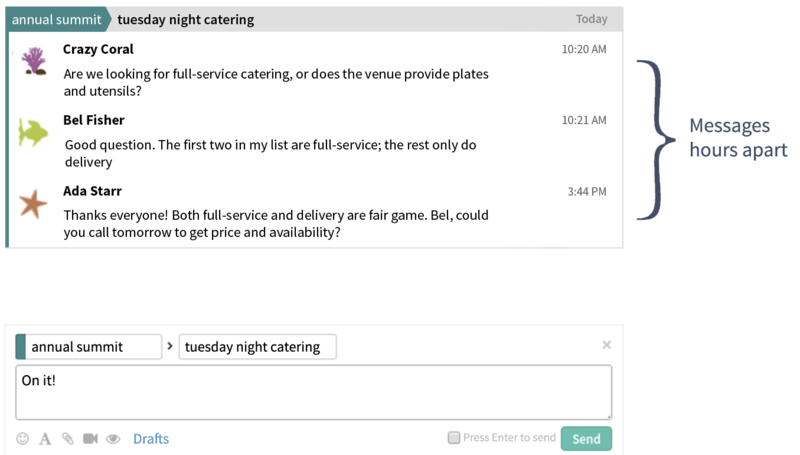 The last message about Tuesday night catering is hidden 56 messages ago. Meanwhile, you just see a mix of unrelated messages. Zulip Free is free for an unlimited number of users. Zulip has modern apps for every major platform, powered by Electron and React Native. Zulip is 100% open source software, built by a vibrant community of hundreds of developers from all around the world. With 120,000 words of developer documentation, a high quality code base, and a welcoming community, it’s easy to extend or tweak Zulip. Zulip has a significantly larger and more active development community than other modern open source group chat solutions like Mattermost, Rocket.Chat, and matrix.org. Install Zulip 2.0.2 or read the Zulip 2.0 release announcement. Zulip has more than 90 native integrations. 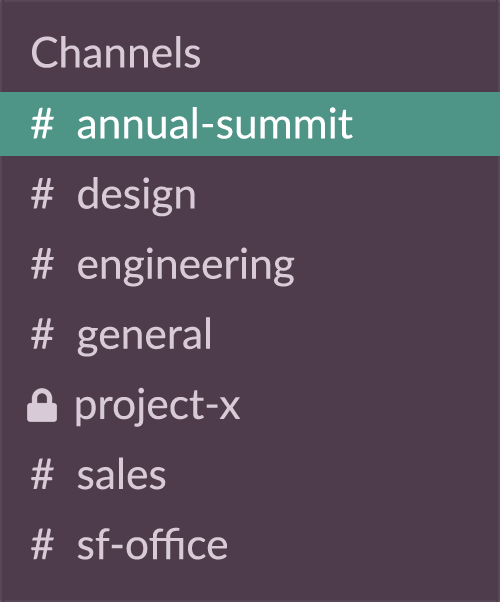 Several hundred more are available through Hubot, Zapier, and IFTTT. Or build your own integrations with Zulip’s powerful API. 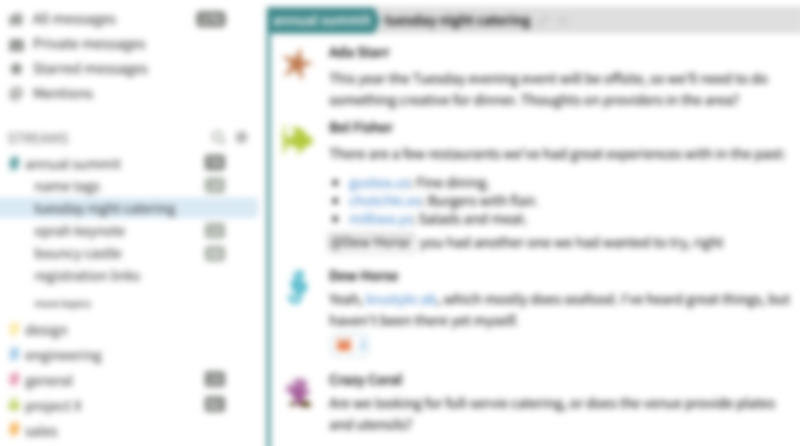 Zulip’s unique threading saves me well over an hour a day in working with our distributed team of engineers and PMs across 7+ time zones. 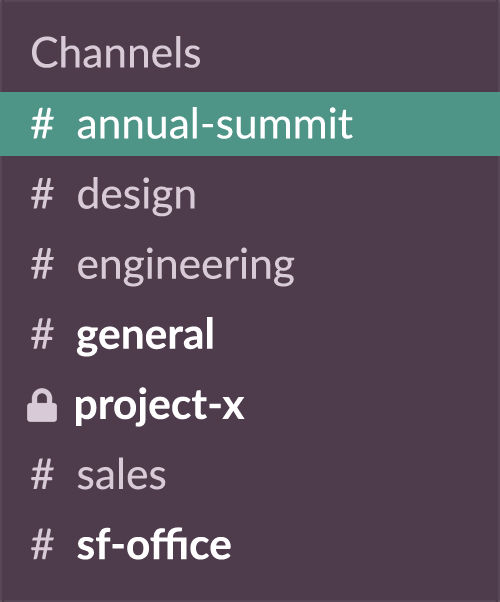 We tried Slack, Mattermost, and other team chat products that claim to support threading, and nothing handles synchronous and asynchronous communication so intuitively. Akamai’s Zulip Enterprise deployment connects over 2000 users around the planet. 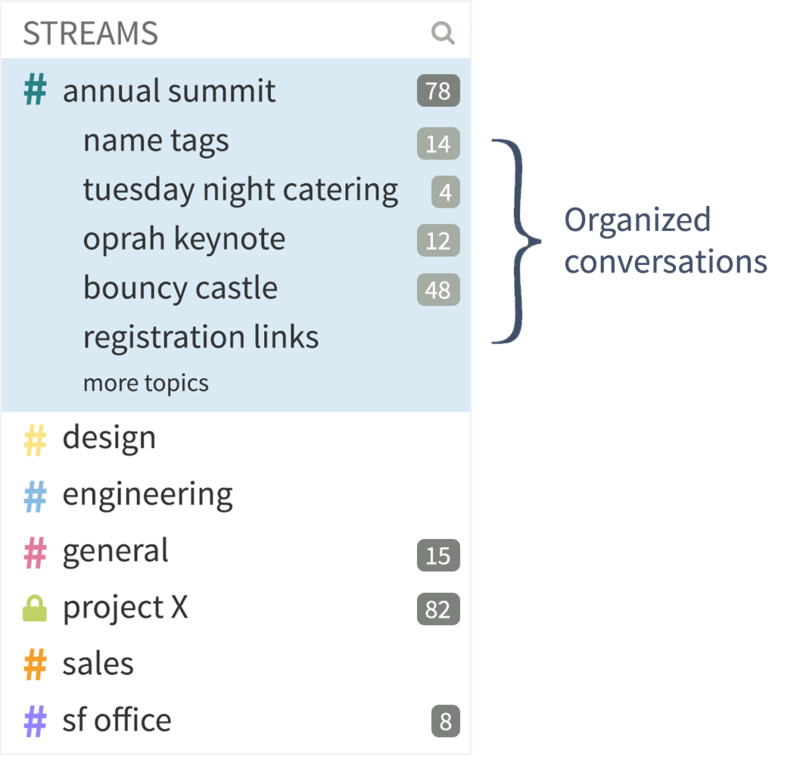 The threading model of conversations provides a large number of participants the ability to engage in real, ongoing, and substantive discussions, without the overwhelming experience of many other chat systems. This coordination across far-flung teams has had a significant, positive impact on the happiness and productivity of our personnel, regardless of location or seniority. Choosing Zulip over Slack as our group chat is one of the best decisions we've ever made. Zulip makes it easy for our community of 1000 Recursers around the world to stay involved, even years after their batches finish. 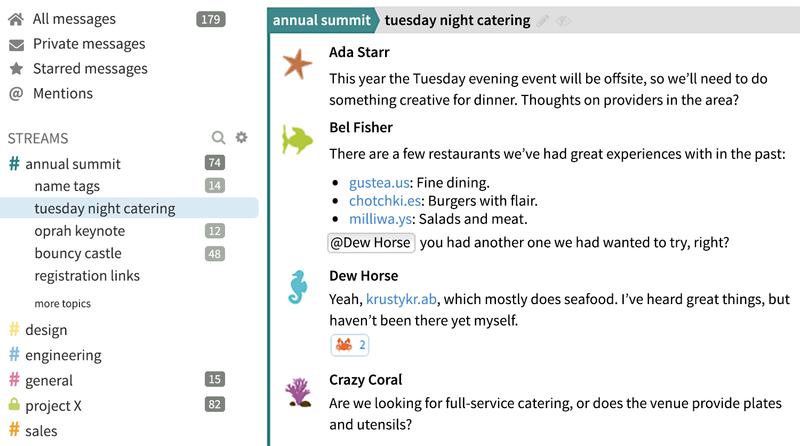 No other tool has a user experience that scales to a community of our size. 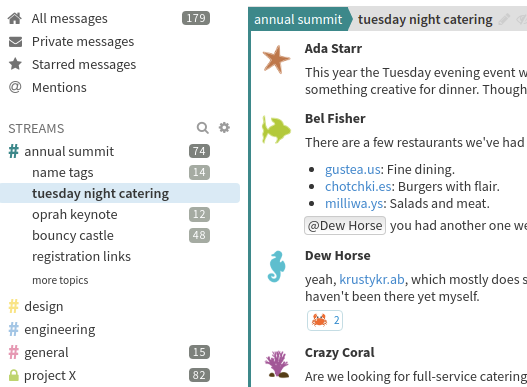 Migrating from HipChat or Stride? Check out our Atlassian migration guide.